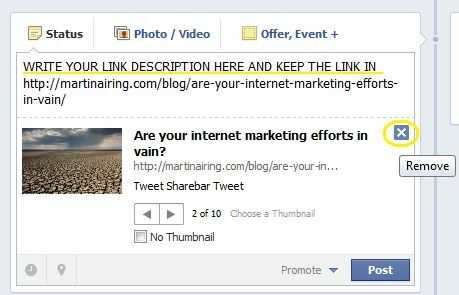 UPDATE January 2014: Facebook has announced that they will be showing less text updates from Facebook business pages, favouring link posts (ie. when you share a link you don’t remove the preview that pops up). Will keep my eyes on this and keep you all posted on how it develops. Sign up to join our community to make sure you don’t miss any updates! The Facebook game has changed… algorithm updates, paid posts, news feed fiascos. It’s getting harder and harder to market your small business successfully and get yourself noticed on Facebook. One of the biggest hurdles that have faced Facebook page owners of late is the issue of reach. Most pages experienced over the last few months a jaw dropping reduction in the number of people that would actually see what they were posting on their page, also known as “reach.” (I get into this topic a little more over here). It’s hard not to get frustrated when faced with challenges like this. Especially when you’re a small business owner without the resources to tackle social media in a big time way. The best thing is to focus on having fun, providing value and just doing the best that you can. Don’t let numbers get you down! Facebook is a great online marketing tool for your small business. Your efforts are not in vain. But that doesn’t mean that you should just keep on plugging along with how you always do things. One ingredient of a successful business owner is being willing to learn, grow and try new things. So for this marketing quick tip, let’s look at one trend that I’ve seen in terms of what gets noticed more than anything else on Facebook news feeds – TEXT only posts. What is a text only post? A text only post is just that, words only. No photo. No link preview. No video. So how much additional reach are we talking about here? I’ve noticed anywhere from 2 times to a whopping 4 times the amount of reach with text only posts as compared to other types of updates on the pages I manage. This is a consistent trend, no matter your industry or the size of your Facebook page. I’ve been observing this for the last couple of months, and it shows no signs of slowing. Not sure how to see how much reach your Facebook posts are getting? The number of people that have seen your post shows right on your newsfeed. What should I put in a text update? • Your own commentary or take on something. …anything really. Notice what other people are posting and start putting together some ideas for your small business. Have FUN with this! Questions and fill in the blanks can give you some really valuable feedback that can help you get into the minds of your target audience and learn more about “your” people. More personal updates can show a different side of you and your business, communicating your values, what makes you tick and other goodies that help to make you more memorable and likeable. An important part of any good Facebook marketing strategy is providing your audience useful resources as well as sharing your latest blog posts and other web content. And yup, these are links – no longer Facebook’s favourite snack. You know what I discovered? If you just post a link as per usual, leaving the link preview pane on the post, no reach boost. If you post a link but remove the preview pane (just click on the little x as per the image below), you get the increased reach of a text only post. Who would’ve thought, eh? You will have to make the text surrounding the link more engaging as you no longer have the preview pane attracting the click. You also have to keep the link itself in the posting area (I normally remove the link when using the preview pane). 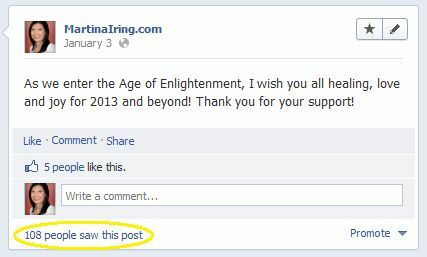 Using this handy little Facebook reach trick once in a while can be a great tactic. Especially for your own content where you want as many eyeballs as possible. But please don’t go overboard and only do text updates. The reality is that people like and prefer images – visuals definitely grab more attention so even though they don’t get the reach they once did, you shouldn’t ditch them. Keep your Facebook content varied. The key with Facebook marketing, and any form of internet marketing really, is keeping yourself up to date with what’s going on and what’s working. Photos used to be where it was at for Facebook reach. Now it’s text. Who knows what will be next? Let us know in the comments if you’ve noticed more reach with text only posts. And if you haven’t tried this type of Facebook update yet, give it a shot and let us know the results! Thanks for this awesome update. Everyone seeking to get the most out of Facebook in an era of sponsored posts must read it…and share it with your network too! Previous post: Coming changes in payment processing… is your biz ready? Next post: Eek…I received spam complaints on my email newsletter!